The appreciation and love of nature was instilled early in Mary Erickson, and it continues to inspire today. 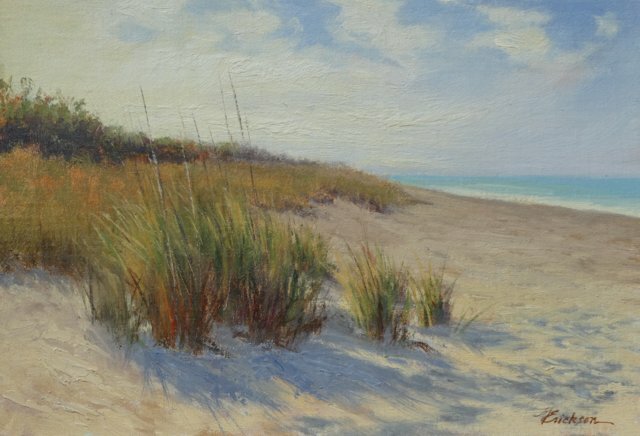 Sketching on the beaches in Connecticut from childhood began her passion for painting natural landscapes, the coast, and the shorebirds that inhabit it. 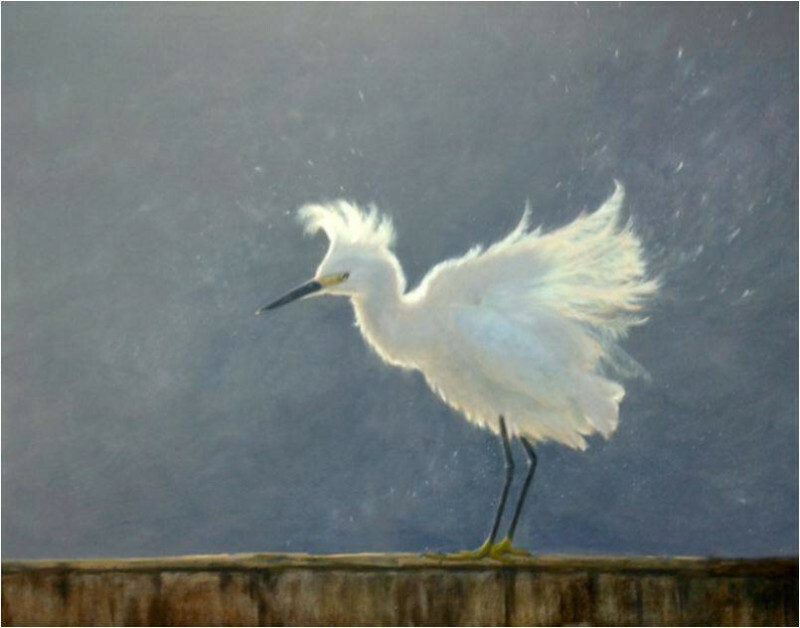 Her soulful rendering of birds and coastal scenery, her strive for artistic excellence, and her work ethic make her one of the most sought after landscape and avian painters in the country. A full time artist since 1993, Mary Erickson maintains studios in Venice, Florida and Marshville, North Carolina. Erickson travels extensively throughout the United States, South America and Europe, for painting tours, exhibitions and gallery engagements. While traveling, she paints “plein air” and records the moments before her on canvas. Those studies are the inspiration for larger works created in the studio. In the summer, Mary runs The Nanatuck Group, a colony of painters and friends who have gathered since 2008. She rents a large waterfront home in a coastal town in Maine, to share with other professional artists across the country. For two months she hosts over 50 artists who go outdoors to paint daily, then share their evenings with fine food, wine and art talk. Erickson’s work is collected throughout the United States and Europe. Her largest project to date is the creation of artwork for the WaterStreet Hotel in Apalachicola, Florida. This luxurious waterfront property features Mary’s original oil paintings and reproductions in the hotel lobby and each of the suites. Mary is represented by eight fine art galleries on the East Coast from New England to Florida. Fulfilling a dream since childhood, Mary shares the beauty of the world she sees through her painting. Mary’s Venice studio is open by appointment only. She participates in the Venice Art Walk which takes place on the First Thursday of every month from January to April.